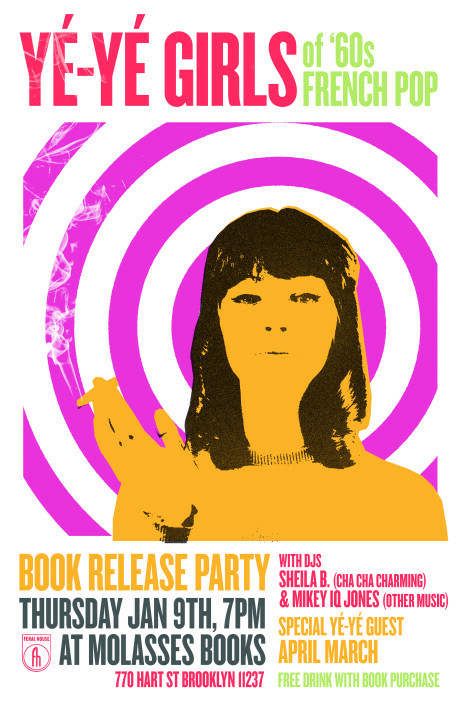 Our highly anticipated Yé Yé Girls of 60’s French Pop has arrived and on Thursday, January 9th from 7pm-on we are celebrating with a release party at Molasses Books in NYC! A few authorities on the genre will be spinning great/rare Yé Yé cuts all night and you can score a discounted copy of the book. Bonus points if you dress of the style. Special Yé Yé guest April March!